CENSORED: See the Toy the Left Wants Banned! In the fall of 2018, a new toy took America by storm. 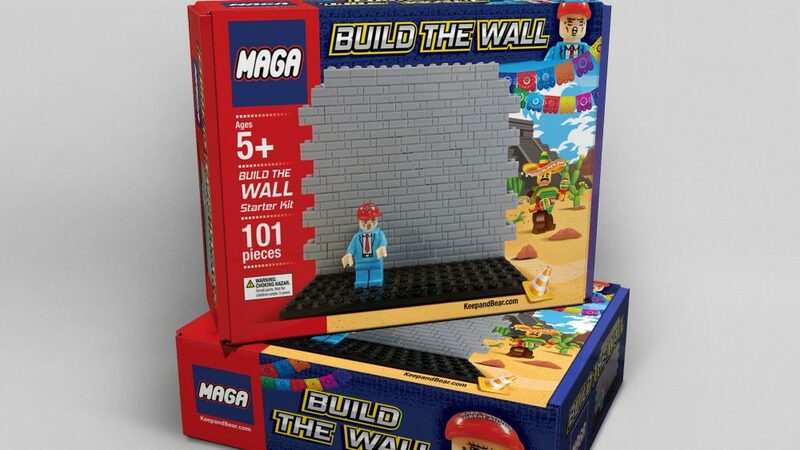 The Build The Wall construction set began flying off shelves and landing under Christmas trees in conservative homes all across America. The toy was so popular that it was mentioned on Fox & Friends, CNN, Yahoo, CBS News, USA Today, The New York Post, and more! Sadly, all of this press drew enemy fire from the Left, nearly ruining our small patriotic business. We’ve been fighting battles with liberal tech giants in Silicon Valley and in Canada as well as a foreign toy maker – all who want to censor us. Our company is not backing down and we are about to roll out The Border Patrol Kit — the next toy in this incredible collector’s series! It comes with 2 Border Patrol Officers, 2 Border Patrol Canines, a barbed wire barrier, and two additional figures attempting to cross the border. Would you like to own the next collectible kit? With your contribution of $40, we will send you The Border Patrol Kit once they roll out of the factory in the Spring of 2019. Shipping is free. 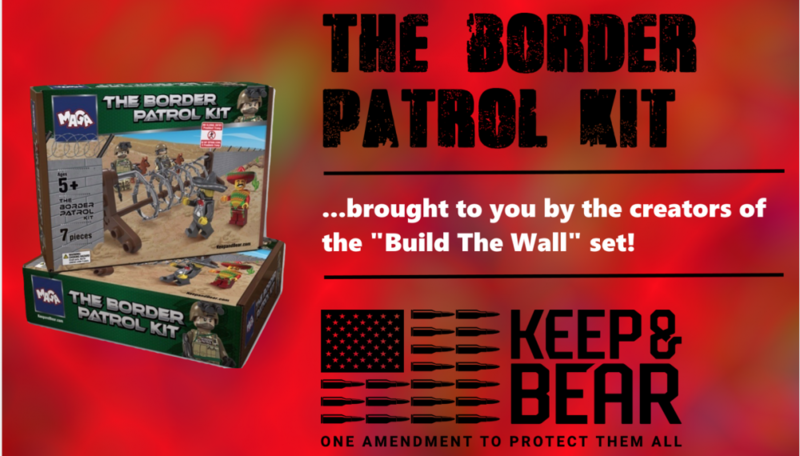 With your donation of $80, we will send you both the Build The WallSet and The Border Patrol Kit! Shipping is free. 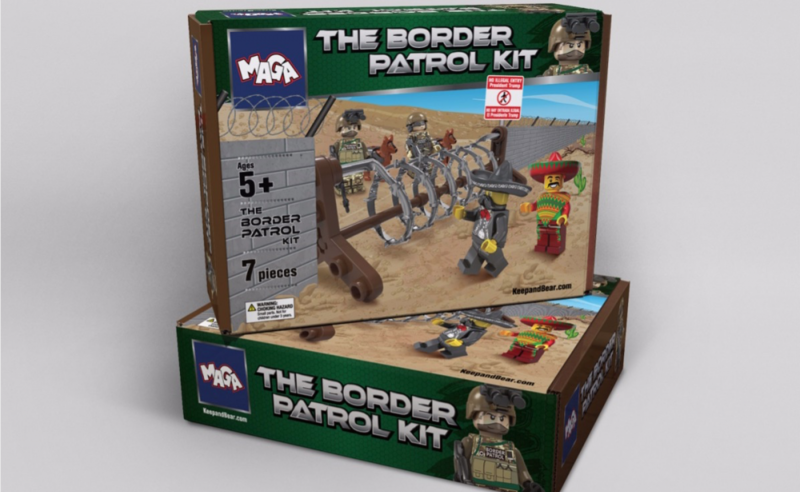 With your donation of $100, we will send you the Build The Wall Set, The Border Patriot Kit, and a pack of 100 extra mini-bricks! (For expansion of the Build The Wall set!) Again, shipping is free! Your contribution will hold your order for the kit and fund production. Shipments are expected to begin this Spring! Simply DreamyWho Wants Transgenders in the Military?